Communication is key to your fundraiser’s success and it’s really important to have an idea of what to communicate and when. 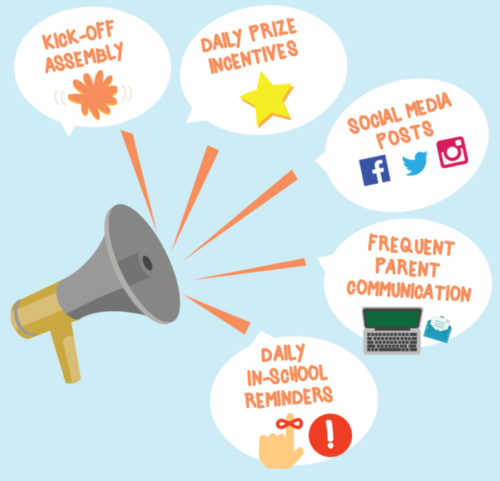 Below you’ll find just that – a timeline of when to communicate during your school’s fundraiser and what key information needs to be addressed (and to whom!). Your goal as a fundraising sponsor should be to communicate with parents, students and teachers each and every day of your fundraiser in order to achieve the absolute highest participation….Are you up for the challenge?! If so, get ready to see some serious results! Send out an email to parents and give them a sneak peek of your Charleston Wrap® fundraiser kicking-off soon. It’s always a good idea to promote early, and you’ll want parents to anticipate the fundraising packet coming home soon. Provide the fundraising information to all teachers and staff in advance. Explain the importance of their participation. Ask teachers to include a message about the fundraiser on their class website, in their weekly folders, and to remind students daily of the fundraiser. Post the fundraising link on your school and/or PTA website (refer to the email from Charleston Wrap®). Set-up your display kit in a high-traffic area to visually communicate your fundraiser. Hang promotional posters in prominent locations around the school and throughout the hallways and classrooms. A little nervous to hold an assembly? Don’t sweat it! Select the professionally-produced Kick-Off Video that best matches your school’s fundraising program and play the video during your assembly. The video includes all the key information students and teachers need to know about your fundraiser (Minus your goals, so don’t forget to announce this critical piece of information!). For kick-off planning tips, check out our Fundraising Kick-Off Guide. Utilize the school’s outdoor reader board to announce your Charleston Wrap® fundraiser: “Support Our Charleston Wrap® Fall Fundraiser!”. Be sure to include your sale dates, too. Distribute packets for students to take home. Place yard signs in the carpool line today for maximum parent-exposure. Social Media Post: “Our fundraiser starts today! Register online tonight and send 10 emails to WIN a prize tomorrow!”. Be sure to also communicate your goal and how the funds will be used. Make daily announcements in the morning/afternoon, reminding everyone of your fundraising goal and how the funds will be used. Also, mention the prize incentives that can be earned – remind students to turn in their coupons for daily prizes (if applicable). Announce the names of the students who have earned Instant Internet Prizes by sending at least 10 email invites to friends and family using the student spot email generator. Social Media Post: “Have you helped spread the word about our Charleston Wrap® fundraiser yet? Register online and send out 10 email invites to WIN a prize tomorrow! We need your help to reach our goals!”. Morning/afternoon announcement: You’re halfway through your fundraiser and you need everyone’s help. Remind everyone of your goal and how the funds will be used. Don’t forget to mention the prize incentives that can be earned – remind students to turn in their coupons for daily prizes (if applicable). Play the fundraiser’s “mid-sale commercial video” on the school’s TV system. The commercial is included on your Kick-Off DVD, provided by Charleston Wrap®, and is also available online under Kick-Off Videos. Morning/afternoon announcement, reminding students of your goal and the importance of their participation. Remind students to submit their prize coupons (if applicable). Send home a reminder flyer. Send a call-out/mass-text to parents, reminding them of the deadline, your goal, and how the funds will be used. Ask parents to email their friends and family and to share the fundraiser on social media. Place yard signs in the carpool line today. Make an announcement in the morning and afternoon: “Fundraising orders are due tomorrow.” Remind students of the prize incentives. Send out a final reminder email to all parents – “Orders are due tomorrow.” Remind them of your goal and how the funds will be used. Call-out/mass-text and email parents. Let them know when and where they should pick-up their fundraising orders. Charleston Wrap® provides the texting service for your delivery announcement free of charge! Announce your sales total, top sellers, and thank everyone for their participation. Keep in mind there is no such thing as too much communication when it comes to raising funds! 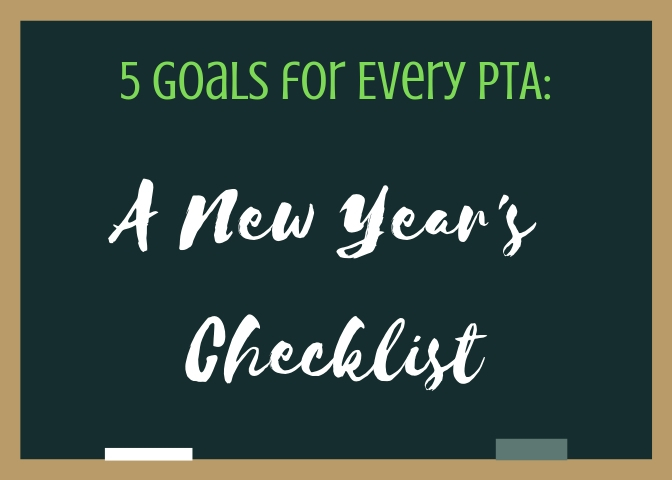 For more information on how to successfully run and promote your school or PTA fundraiser, review our School Fundraising Checklist and Social Media Guide. With timely and effective communication, you’ll be on your way to exceeding your goals! Your privacy is assured. We do not share your information with 3rd parties. DEPRECATED - Approximately How Many Participants? DEPRECATED - Approx. Retail $ From Last Fundraiser? Our PTA was very pleased with the customer service response from Charleston Wrap. We always felt fully supported during our fundraiser. Our catalog fundraiser was well organized and ran very smoothly. The merchandise was of great quality and proved to be profitable for our school. I enjoy having my own contact person at Charleston Wrap and can always expect an immediate answer. The customer service is invaluable! We’ve had different fundraisers before but the Charleston Wrap team went above and beyond from beginning to end to ensure that we were completely satisfied. With your company’s guidance, our distribution went so quickly and easily. I highly recommend your company and the products to anyone. How to Increase Your Fundraiser’s Sales in 24-Hours!